MIDLAND, Mich. - The Michigan Baseball Foundation is pleased to announce the dates of this season's Loons Summer Baseball Camps - presented by CherryBerry - at Dow Diamond. The first two-day camp will be held June 19-20. The camps will pair participants with professional players and coaches from the Great Lakes Loons in a strong learning environment. Loons manager Bill Haselman will serve as Camp Director. Campers will learn various aspects of hitting, throwing, fielding and pitching while being instructed in the characteristics that define successful baseball players. The drills taught will be the same ones utilized by the coaches and player personnel of the Los Angeles Dodgers and the Great Lakes Loons. Camp instruction will run from 9 a.m. to 12 p.m. each day. Participants will also receive a camp t-shirt and two tickets to a Loons game that will take place following the second day of instruction, as well as a CherryBerry coupon. All campers will be invited on the field for special pre-game recognition. Each two-day Loons Summer Baseball Camp is $90 per person with all proceeds benefiting the Michigan Baseball Foundation. A portion of the entry fee is tax deductible. All interested parties should reserve their spot now as space is very limited. To secure a spot or to obtain more information, please contact Tyler Kring at 989-837-6165 or tkring@loons.com. Fans can also visit Loons.com. Through your support at Loons games, the Michigan Baseball Foundation has been able to award $721,014 to youth baseball leagues, schools and other deserving non-profit organizations throughout the Great Lakes Bay Region. To continue its economic and charitable impact and to meet its obligations as a public charity, MBF must raise annual funds from public support. The Michigan Baseball Foundation is a 501(c)(3) non-profit corporation and public charity, which was formed in 2006 to generate regional economic development through creative partnerships and grants and to enhance the efforts of regional organizations that serve young people. 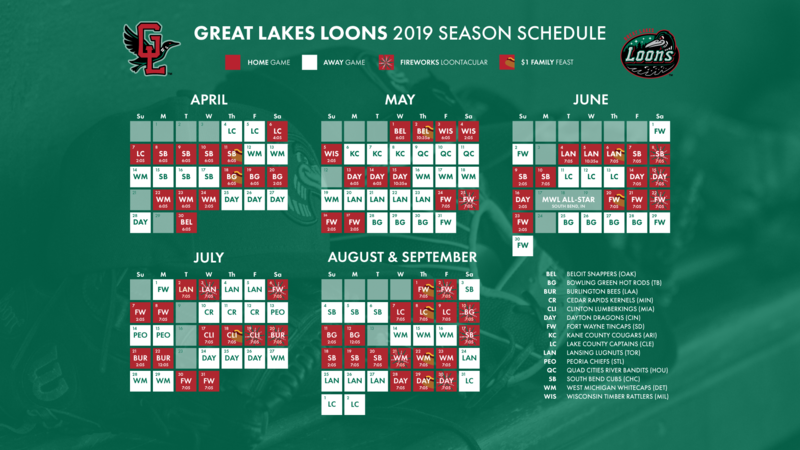 The Michigan Baseball Foundation owns and operates Dow Diamond, home of the Great Lakes Loons, an eighth-year Single-A partner of the Los Angeles Dodgers.